On the Jewish holiday of Purim, drinking is actually encouraged. The scroll of Esther concludes with an instruction from Mordechai to celebrate Purim as a time of “yemei mishteh v’simchah,” or “days of drinking and rejoicing” (Esther 9:22). The Talmud interprets this as a command to drink until you cannot tell the difference between the Hebrew phrases “arur Haman” (curse Haman) and “barukh Mordechai” (bless Mordechai). Different rabbinic authorities interpret this Talmudic command in various ways, so please don’t take my word for it– seek advice from a trusted halakhic authority before indulging. Here’s a more in-depth article if you’re curious about the “why” behind the tradition of drinking on Purim: My Jewish Learning – Drinking on Purim. In my family, we look at the holiday as a chance to kick up our heels and have fun as we honor Esther’s inspiring story. To help you celebrate, I’ve put together a tasty list of kosher cocktails for your Purim party. When I started thinking about kosher cocktails for Purim, I called my friend Katsuji Tanabe, executive chef of a dairy kosher restaurant here in Los Angeles called 26 by Shiloh’s. Katsuji has a wonderfully fun and unique approach to kosher cuisine. He takes risks, combining flavors that you would never expect. On my last visit to 26, I sampled their Gefilte Pizza, Cactus Salad, and Flourless Chocolate Cake, among other dishes. Because 26 is a dairy restaurant, they are free to use cheese and butter in their dishes, but not red meat, poultry, or shellfish (fish with scales are considered neutral by kosher law, so they’re allowed). Katsuji embraces these culinary challenges, and it’s clear he has a lot of fun with his menu. 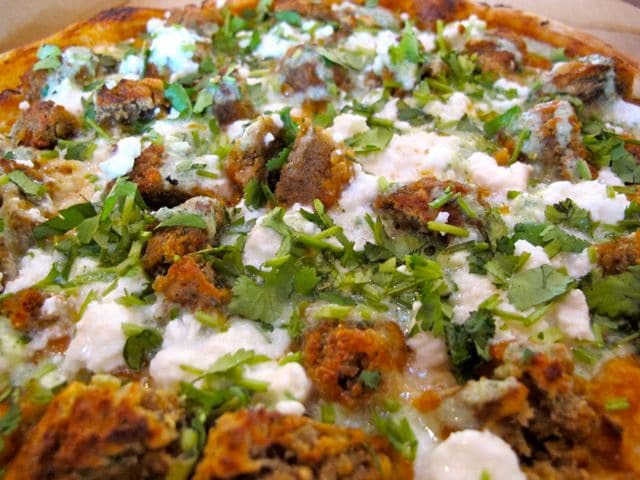 The Falafel Pizza was my personal favorite. In addition to the food, 26 has a very extensive kosher bar menu with all kinds of fabulous cocktails. Katsuji gave me some basic kosher mixology tips, then shared with me one of his favorite kosher cocktails called “The Bull.” The link to his recipe appears below. So what makes a cocktail kosher? The liquors, mixers, and ingredients you use must be kosher certified. To find kosher certified brands, you can search the OU kosher database, or check your bottle for a kosher hechsher symbol. 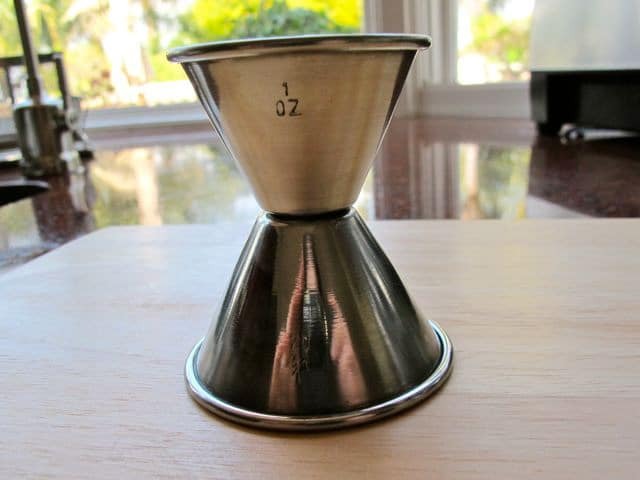 I’ve provided links to a few of my kosher cocktail recipes below. The cocktails can obviously be made using any brands you like. For those wishing to imbibe kosher-style, I’ve provided a list of kosher-certified brands at the end of each recipe as a helpful guide. All of the brands listed are kosher certified when they bear a hechsher symbol. These aren’t the only kosher brands, obviously—they just happen to be kosher brands I’ve used. When in doubt, always look for the hechsher to ensure that your products are kosher. I’ve also included a non-alcoholic punch here for the kids and others who choose not to drink. It’s a festive fruity drink that the kids will love. The punch includes dairy sherbet, but you can easily sub a pareve non-dairy ice cream or sorbet if you’re serving a meat meal and want to keep things kosher. Finally, I’ve provided instructions for how to make a citrus lemon or lime twist, which can be used to garnish your drinks and cocktails. Please drink responsibly. Have a fabulous Purim! Chag sameach, bete’avon! 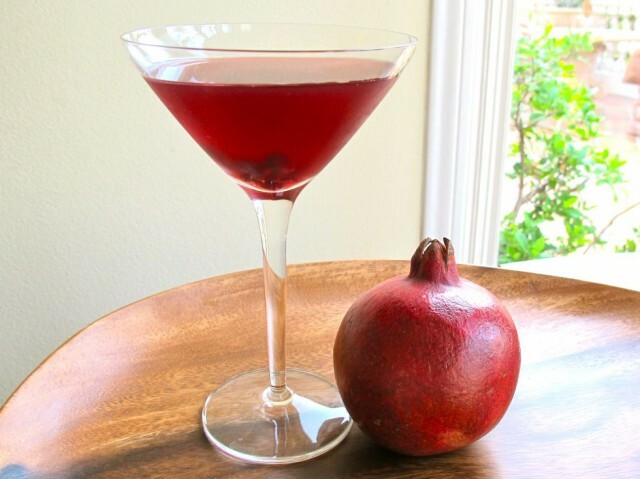 I adore pomegranates, so of course I had to use them when creating my “signature” Shiksa martini. I’ve paired rich pomegranate juice (POM Wonderful or fresh is best) with orange-flavored vodka and other flavors to create a crisp and delicious cocktail. 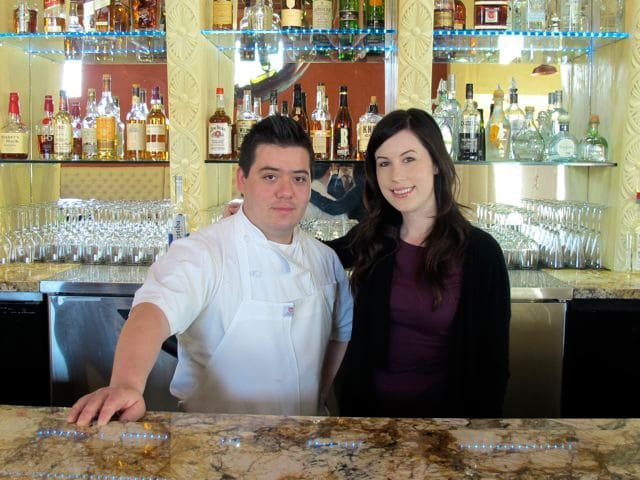 Chef Katsuji Tanabe learned this cocktail from his grandfather in Mexico; the recipe has been in his family for years. It’s served over ice, which makes it particularly light and refreshing. This drink was inspired by an iced mint lemonade I tasted on my most recent trip to Israel. I’ve recreated the drink here with added rum for kick. This cocktail is light, cool, and refreshing—perfect for a spring celebration. This delicate and sweet drink with fresh raspberries and Moscato d’Asti would compliment a weekend brunch or afternoon soiree. 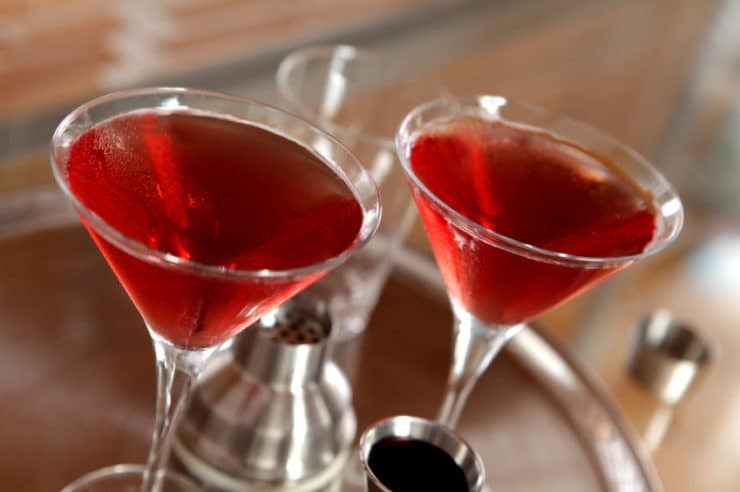 This cocktail is just what it sounds like—a cranberry cosmopolitan made with kosher ingredients. This sophisticated martini is always a crowd pleaser. Using sweetened lime juice will make the drink sweeter; fresh lime juice gives a crisp tartness for those who prefer a less sugary drink. Learn to make a citrus twist using lemon or lime peel to garnish your drinks. Quite an array here-! We’ll stick with the kiddie punch. In our urban neck of the woods, we had a hard time even finding hamantaschen this year…oy! >>We sell many Kosher-certified beers. Look for a small circle with a “U” or a “K” inside it. If you see that mark on your bottle or can, your beer is Kosher-certified. To all my cooking friends–l’chaim! Enjoy your Purim, chag sameach! I can’t wait to try a couple! Have a wonderful Purim, and as always, Thank You for sharing such great recipes with us. OH BOY!!!!! These look and sound AWESOME!!! Happy Purim and thank you! Yummy as Always…. ;-)…. But I only got up to making the second Drink… LOL… Do you know the word “Shiker”… I got Drunk…. Smiles and Blessings to you are Yours… Happy Purim..
Can’t wait to try these. Thanks as always. Enjoyed the piece and the recipes.. Did I misread, or is Coors Light, kosher?? Yum! They all look wonderfully refreshing. This will be our first time celebrating Purim, I look forward to it! P.S That pizza sounds delicious!